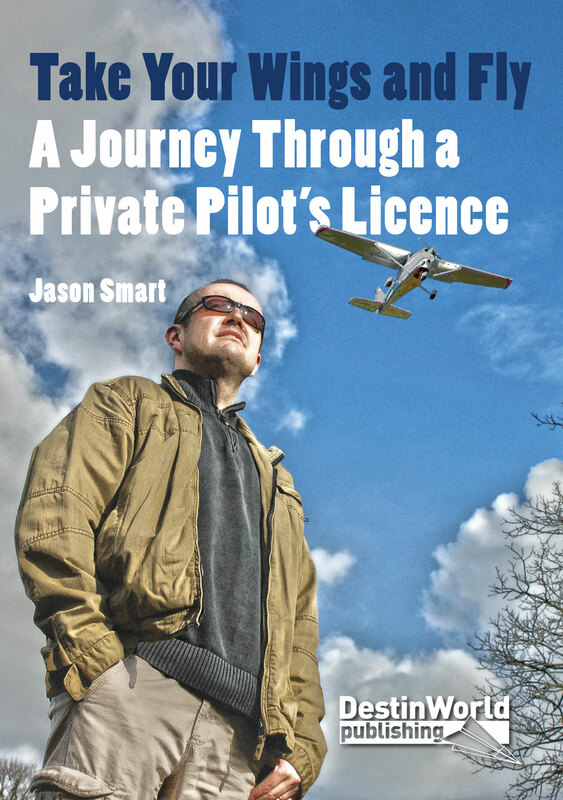 Whether you’re an experienced pilot or still learning, the weather plays an important role in your flying. In fact where I fly, in the UK, the weather causes more issues than anything else and can be hard to read at times. Thankfully we have fairly accurate information about the current weather and the forecast at our fingertips thanks to some great weather apps for pilots, plus some great websites you can also use. 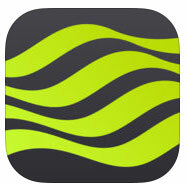 A one-stop app for checking the weather reports from airports and airfields around the world. Set up a list of airfields you want to keep an eye on and it shows a summarised list of the current weather. Tap on each one to see more detailed reports and TAF forecasts. Available in Lite and Pro versions. 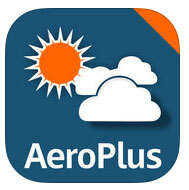 Another great app which shows the latest weather and forecasts at airfields on your list. It shows this in a very visual, colourful and easy-to-understand way, helping you to visualise the current weather and how it is forecast to change over the day (for the old school boys it also shows the METAR and TAF in code form). The free version lets you see three chosen airports; upgrade to add more to your list. Get the most up-to-date and accurate weather forecast information for any part of the UK over the next seven days. 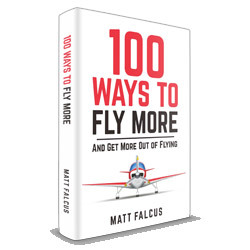 Helps you plan flying trips ahead of time and stay safe with advance warnings of severe or restrictive weather. Includes sunrise/sunset times. A lovely, visual way to see the latest METAR and TAF information in the areas that interest you. Scroll around the map, zoom in and out. Shows cloud types and levels, turbulence, freezing levels and icing areas. Not an app but a web program run from your computer. 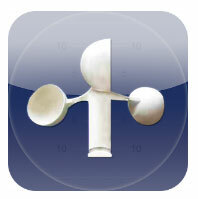 Windytv is a fantastic resource for looking at the current winds all over the world, with really accurate detail. 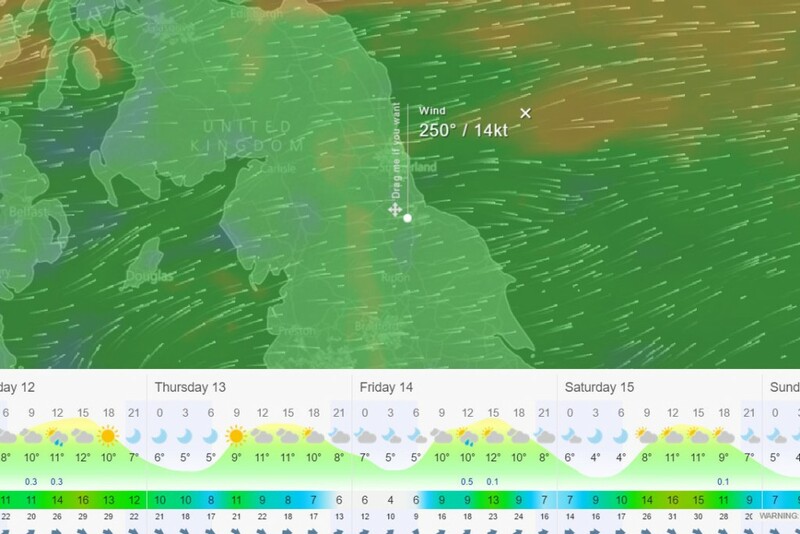 You can zoom in and click on the map for the forecast winds at any particular location – great if you’re flying to a small airfield somewhere. 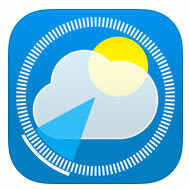 Have you got any recommendations for great weather apps for pilots? Leave a comment below.